Zaraz odpowiemy na twoją wiadomość, prosimy o cierpliwość! Golf Digest 2018 Hot List Gold Medal Winner! Rogue Sub Zero is an extraordinary achievement: a powerful, extremely low-spinning, Tour-level driver packaged in a high MOI shape. Golf Digest 2018 Hot List Gold Medal Winner! The Rogue Driver delivers exceptional ball speed from the combination of our new Jailbreak Technology and X-Face VFT plus increased MOI for a breakthrough in driver performance. Golf Digest 2018 Hot List Gold Medal Winner! Repositioned weight in the Rogue Draw Driver enhances the gear effect to promote a distance-enhancing shot shape. The only driver awarded 20 out of 20 stars in the 2019 Golf Digest Hot List. 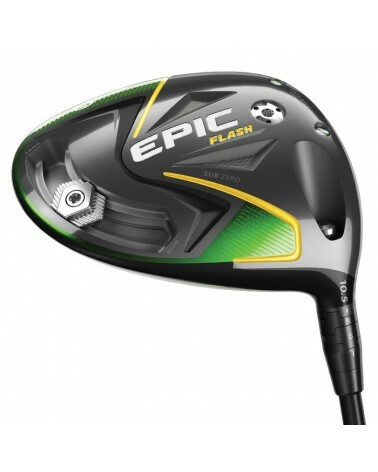 The Epic Flash Sub Zero Driver is the ultimate combination of low-spin and high MOI in a driver, and it’s led by our new Flash Face Technology.